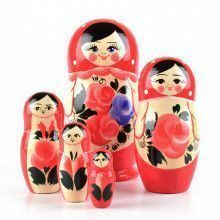 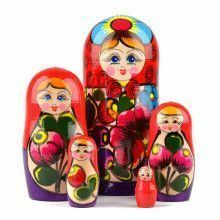 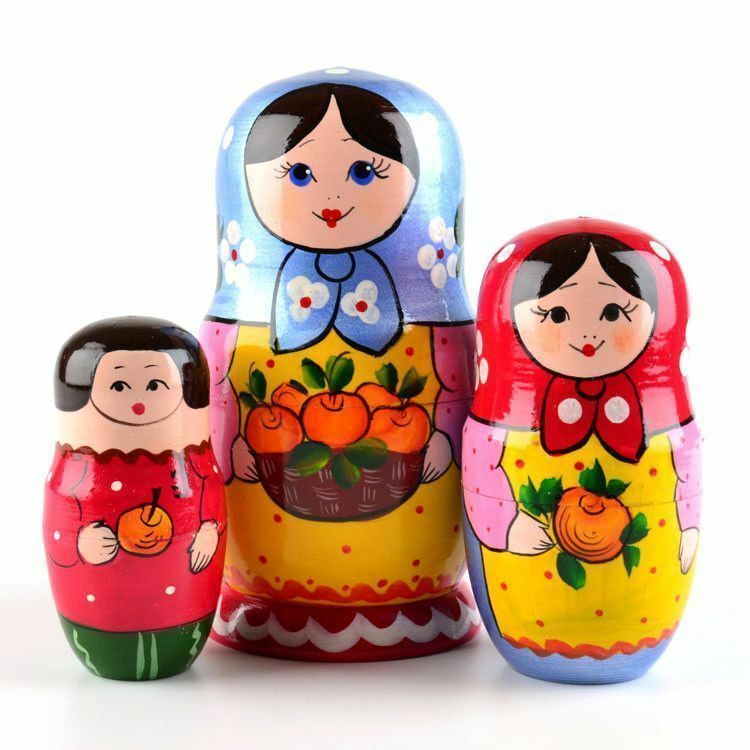 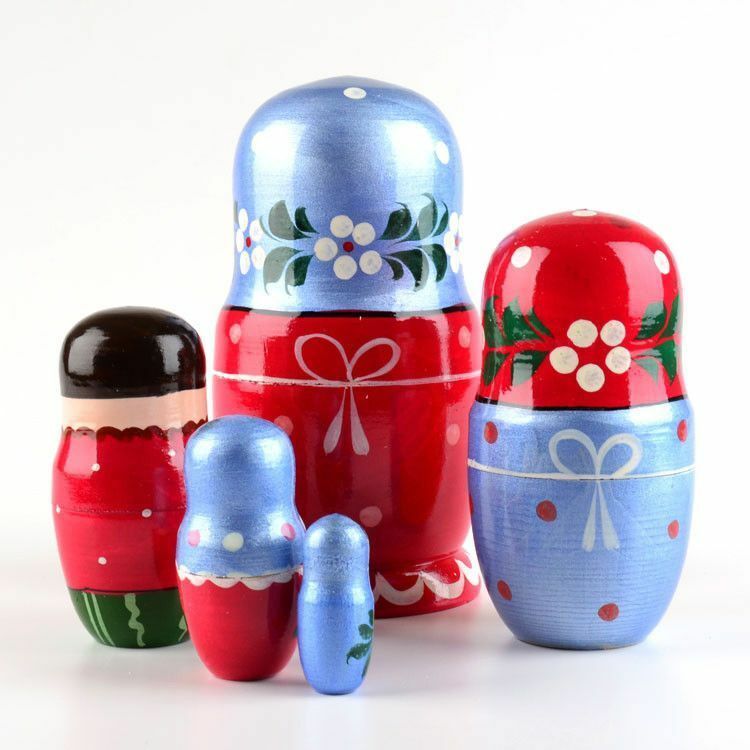 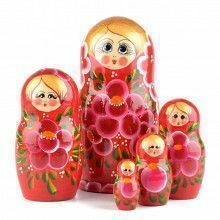 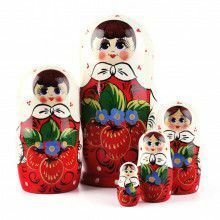 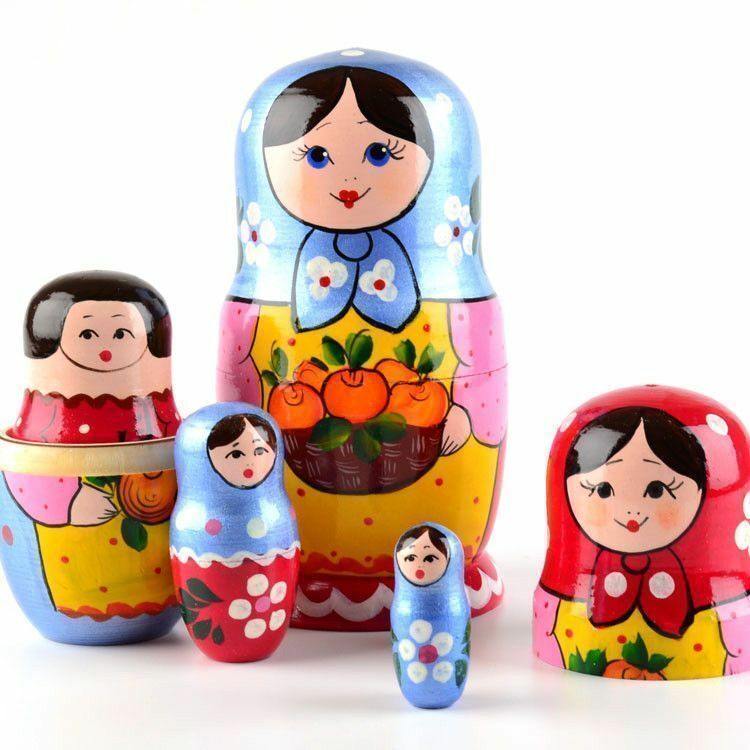 Wow, this matryoshka sure is colorful! 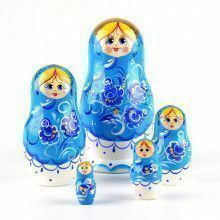 She was hand painted in Russia before being imported directly to our online store. 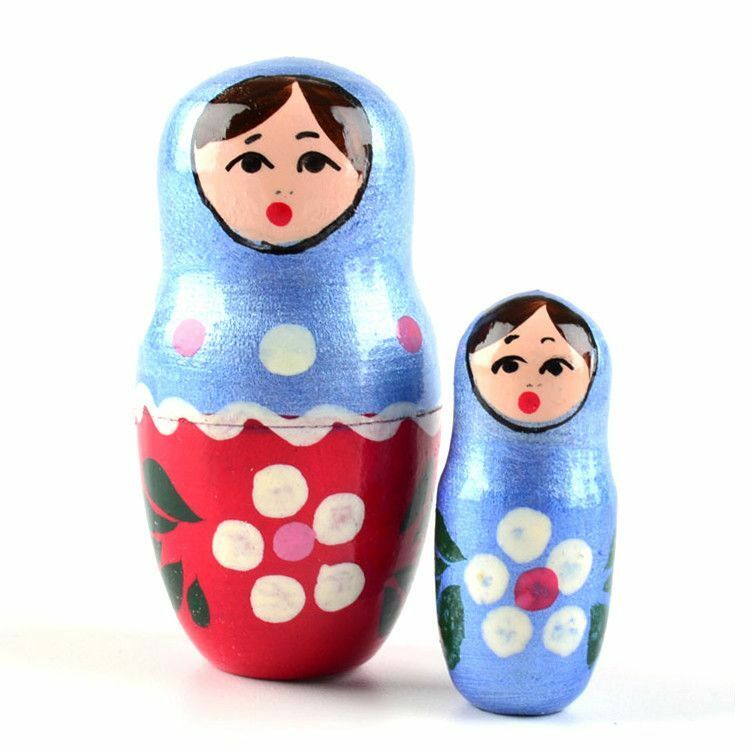 She stands about 6 3/4" tall and has been gloss finished. 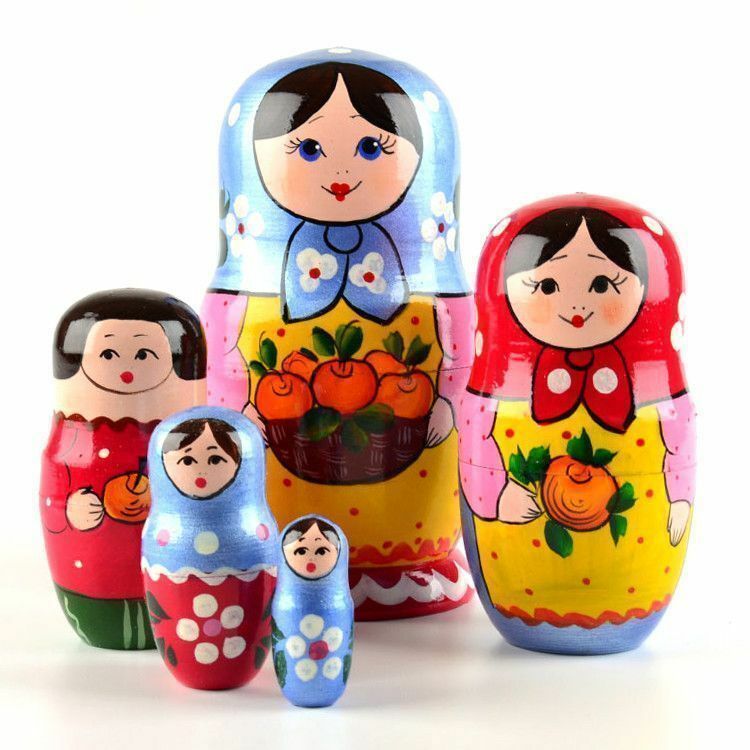 This hospitality doll would make a unique decoration for any kitchen, a fun house-warming gift, or an interesting gift for someone who loves oranges!